There was another happy reunion at The Lost Dogs’ Home recently when Victoria was reunited with her six-year-old cat, Cleo. After three years apart, they have a lot of catching up to do. Victoria and her daughter Miley were shocked, surprised and thrilled to have their beloved cat identified and returned to them. “When I told Miley, she shouted ‘What? They found Cleo?’. She’s pretty happy telling everyone at school,” said Victoria. Fast forward three years later and Victoria and Miley are celebrating a happy homecoming with Cleo, who will also be reunited with her fellow feline companion, Bella. “Bella was really sad when Cleo went missing. She became distant and fearful of strangers and outsiders,” Victoria said. 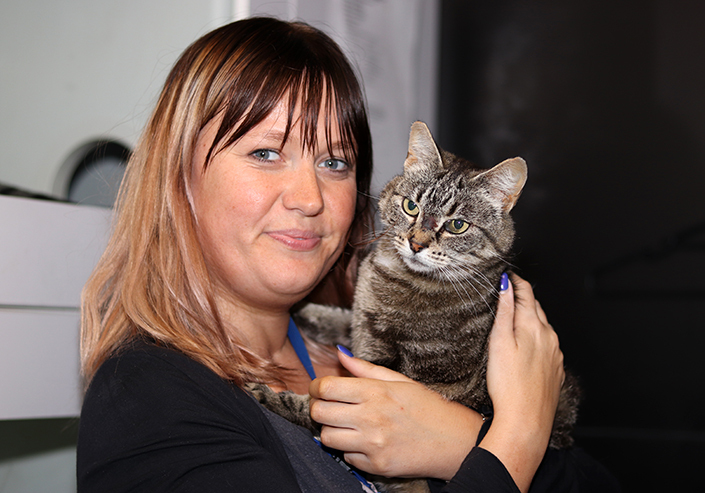 It’s unknown where Cleo has spent the past three years, but thanks to a microchip, she was able to return home to her family. Microchipping gives you the best chance of being reunited with a lost pet. Speak to your vet today about microchipping your pet. Is your pet already microchipped? Make sure your details are up to date.